Sgt. 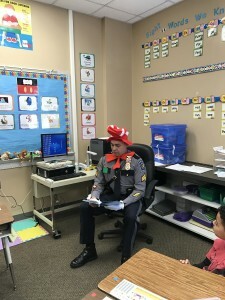 Antonio Ellis was among the Officers who helped Manchester Township students celebrate Dr. Seuss’ birthday during #ReadAcrossAmerica on March 2nd. Sgt. 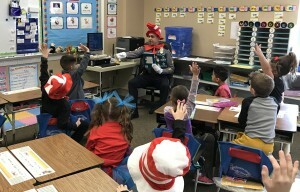 Ellis visited Ms. Hickey’s first grade class at Manchester Township Elementary School, where he read “The Cat in the Hat,” complete with costume. Our Officers also visited Whiting Elementary School to celebrate the day there. The Officers were thankful for the school district’s invitation to participate in this National Education Association program. Read Across America aims to make reading into a fun activity for children. 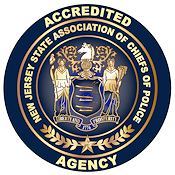 The officers of the Manchester Township Police Department value community service and are pleased to work with Manchester Township, NJ School District to encourage children to further their education.